Gate Repair Oceanside is a gate company that has a lot of respect for their residential and commercial gate customers. We understand that we would not be successful if it was not for our customers. This is why we go out of the way to make sure that our customers are satisfied. This caring nature that we have is why we have earned the reputation as being the best around. We do a variety of gate services for our customers. In fact, if it has to do with gates than we are the company for you. Call our Gate Repair Oceanside today and tell us how we can help you. Our company is in Oceanside, California. 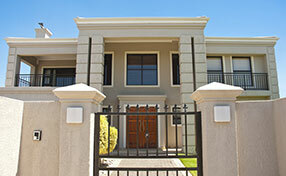 Our capacity to service electric gates properly guarantees useful, functional and safe systems. We don't make compromises when it comes to our work. We're gate repair experts and knowledgeable of all brands. Our main intention is to provide the right gate service in order to keep our clients happy and safe. 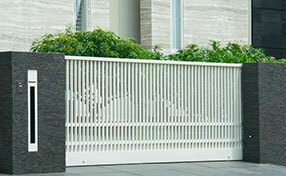 By being experts in gate systems, we manage to cover all their needs with the same perfection. We repair, troubleshoot, replace and install gates and their components. As ace technicians in residential gate openers, we promise to fix relative issues with speed and service operators with care. We are devoted to ensuring safety and that's why our response is fast for emergency repairs and our thoroughness is guaranteed whether we install, repair or replace gate parts. We are experienced with gate intercom systems and make sure our clients control their security and convenience with our excellent intercom installation service. Our Oceanside Gate Repair is a bonded, licensed and insured company. We are a reputable company. We are not one of these companies that you hire, get a check and disappear. Being licensed is a great idea when you are looking to hire any company. We are also the most dependable company in the area of Oceanside. We have a 24/7 emergency gate services. Even it is 4am on a Sunday morning we will still answer the phone AND come and help you out. In order to be a great gate company, they must be able to do all gate repair services. 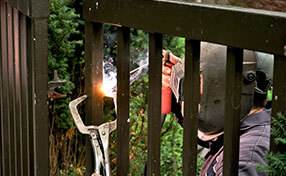 Our Gate Repair Oceanside can do any repair that has to do with gates. We are well qualified to do repairs. Big repairs, little repairs it does not matter. 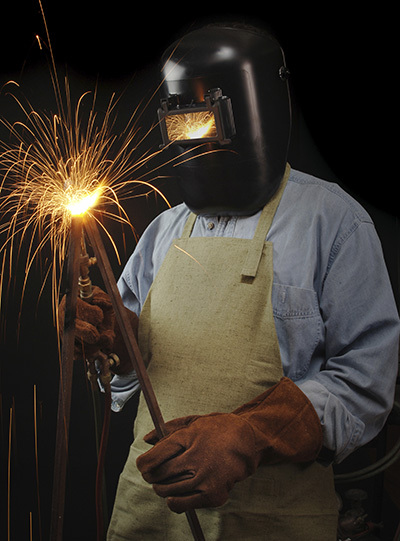 We can do so many different repairs for you like repair hinge welding, gate motor repair, repair gate hinge, gate wheel repair as well as safety gates repairs. If this is that you need help with, please give us a call. Our gate service company does a lot more repairs then just those few. We are not limited to the repairs that we can do. Here are several more repairs/installations that our Oceanside Gate Repair can do. We can also install and repair every kind of gate devices and openers, broken down gate repairs, post repair, broken down hinge repair, hinges welding, gate track repairs, gate wheel repairs, security gate sensor repairs and install, exit ring installation plus repair, residential & profitable broken down gate spring repairs, install gate motors on an existing gate plus spring replacements. Have you ever heard about custom made gates? Our company does this all of the time. Custom made gates are gates that are made to your exact specifications. They will look like you want them to look. You work with us and tell us what you want and we will make and install them. Below are some of the kinds of gates that we can do for you. Please think of our Oceanside Gate Repair when you need repairs on your gate. Let us show you why we are the best around. Everyone has a website these days and we are no exception. You could just come by and see us at our location at 4140 Oceanside Blvd Oceanside, CA 92056.